Irrational Games are gone. But SHODAN voice actress Terri Brosius is still about, and so is husband Eric – the sound engineer who distorted her voice into the terrifying monotone of the mother of all malevolent AIs. 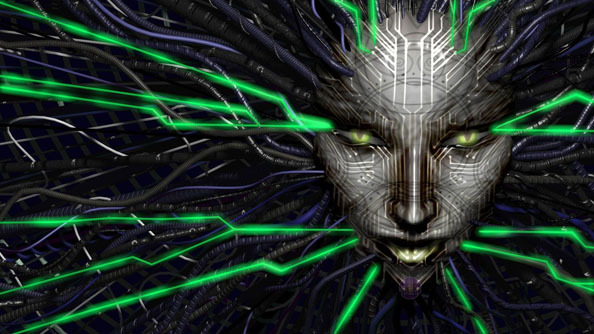 Both are down for the idea of a SHODAN announcer pack for Dota 2 – and Night Dive Studios, the outfit who ported System Shock 2 to Steam, have convinced Valve. But they have one reservation. “We’re all big DotA fans and after attending TI4 this year we began thinking about ways we could blend our love of classic games and DotA,” said Night Dive CEO Stephen Kick. Before “diving right into production”, however, Night Dive wanted to consult the Dota community on Reddit. His chief concern? Whether SHODAN would be too similar to Valve’s own rogue AI announcer pack, GLaDOS. “Would you be interested in a SHODAN announcer pack?,” asked Kick. The reply, written across countless threads in the last 10 hours, has been resounding: oh god yes. We know what SHODAN would sound like: contemptuous, detached, terrifying. But what would she say?